What Is the Difference Between a Zester & a Grater? If your recipe calls for shredded ingredients like citrus rind or zest, you'll need to use a zester or grater to achieve the correct ingredient texture required for the dish. The two tools can sometimes be used interchangeably, but not always. Use the small-hole side of a box grater to create thin citrus zest. A citrus zester has small holes and ridges at the top of the tool, which allows you to scrape off small strands of citrus peel. Graters feature holes with a sharp edge that slice off ribbons or strands of citrus peel when you rub the fruit against the tool. Box graters have different-sized holes on each side, which allow you to choose how thick or thin you grate your citrus peel. 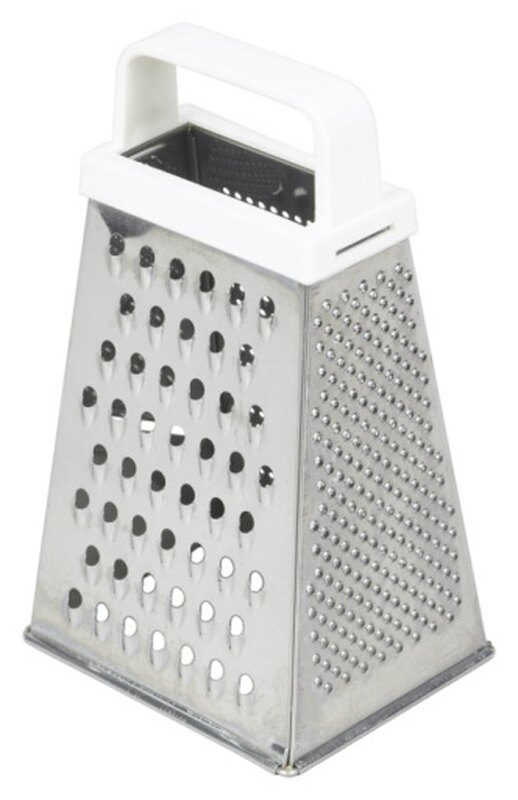 Hand-held graters have only one size of grating hole. Both citrus zesters and citrus graters remove the colored portion of orange, lemon, lime or grapefruit peel. Citrus zest adds a tangy flavor to salads, dips, baked goods and meat dishes. When using a grater or zester on citrus fruits, only remove the colored portion of the peel, according to Alice Henneman, a registered dietitian and educator associated with University of Nebraska's Lancaster County Cooperative Extension. The white layer underneath the colored portion of the peel has a bitter taste.